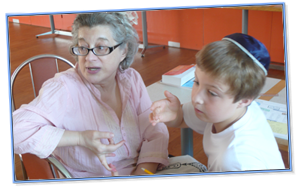 The religious education of Jewish children is crucial to the perpetuation of our Jewish Community. It must be given top priority and takes second place only to efforts directed toward the saving of lives in imminent danger. The recent case in the Supreme Court about entrance criteria for the Jewish Free School (JFS) has brought into play a religious practice test for Jewish children wishing to enter Jewish Faith Schools. 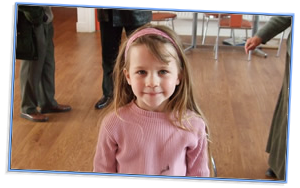 The King David High School Liverpool Certificate of Religious Practice has a points system based on attending synagogue services in the previous 12 months and having been engaged in formal Jewish religious education for the previous 2 years. We offer a revitalised programme of education for ages 5 – 16, led by a dedicated and ambitious team of educators. We want our children to love coming to learn and really benefit from the knowledge and skills they acquire and not just to see attending as a means to an end. 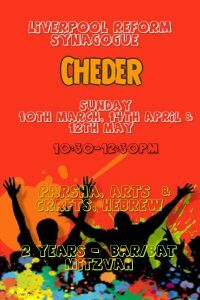 Our Sunday morning Cheder provides children with the knowledge and understanding to enable them to make a commitment to their religious, cultural and national Jewish heritage. 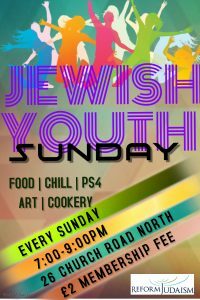 This will foster meaningful Jewish continuity and strengthen contemporary Jewish life.